I Love You More Than Carrots: The Ultimate Crossover Stroller? Good Question. 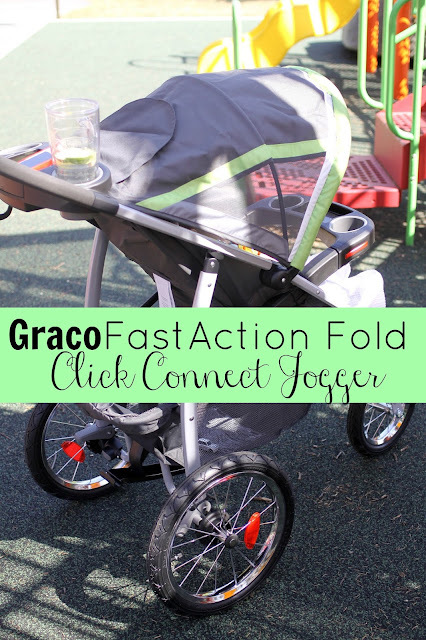 A Review Of The Graco FastAction Fold Click Connect Jogger. The Ultimate Crossover Stroller? Good Question. A Review Of The Graco FastAction Fold Click Connect Jogger. One thing I've learned as a parent is that there is no single stroller on the market that does it all. From every day errands to a quick two miles on the pavement, it's difficult to find the form and function you desire in one piece of baby equipment. Sometimes there isn't enough storage, other times it's not a smooth ride. The handlebar is too high, the wheels aren't big enough to move from pavement to hiking trails or maybe baby just isn't comfortable enough for any sort of trip longer than a quick jaunt around the mall. And then you are given the opportunity to test out the Graco FastAction Fold Click Connect Jogger and suddenly you think you've come awfully close to having it all in a single stroller. To read my personal opinion on the new Graco FastAction Fold Click Connect Jogger, click the picture below!